The Australian short story is in a class of its own these days, and there are a number of amazing journals and anthologies which showcase these if you're interested. From the Sleeper's Almanac to Western Australia's own Westerly, competition is tight and while it can be hard to break into the scene, it's also incredibly gratifying to read what does make the cut and have the writing take your breath away. Such is the case with Inkerman and Blunt's recent anthology, Australian Love Stories, which was edited by award winning writer Cate Kennedy, whose collection Like a House on Fire won the Steele Rudd award in 2012. 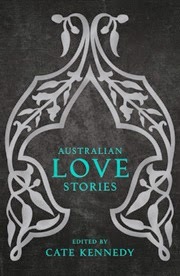 The anthology features twenty nine stories (if I have counted right), including four from Western Australia, and has been carefully curated to follow the arc of a romance itself; from attraction through to the hardships that test even the strongest relationships. Donna Ward, the woman behind Inkerman and Blunt, said at the Love in the Orient event which took place in mid November, that the collection "stand[s] in the face of hatred, and transforms it." It is a collection which is inclusive of all racial backgrounds and sexual preferences, and the pieces selected all show extraordinary insight into the Australian story as a place where all are welcome. Click on the picture to go to the publisher's website. Stand-out pieces in the collection include Danielle McGee's funny and surprising piece, 'Gen Y Love' which resonated with me through use of specific events in world news and popular culture to mark the span of the character's romance. Its gentle treatment of the subject matter made it both surprising and sensitive, and it was my favourite piece in the whole collection. The vivid world of Leah Swann's "Why Cupid is Painted Blind" took me to a believable but completely foreign place within my own culture- that of the renaissance fair. Her protagonist's obsessive crush on Karl the folk singer draws the reader past the point of no return, and an ending which might have been predictable in the hands of a lesser craftswoman has them breathing a sigh of relief. The title, and the way she slipped an explanation of the meaning of it into the text, are extremely beautifully chosen. J Anne deStaic's "Lover Like A Tree" was the short story I thought I didn't understand at first, but it stayed with me the longest. In a very small number of words, deStaic manages to tell the reader the story of a love triangle between a man, a woman, and the man's drug addiction, offering no solution to the hardship. By allowing things to simply be, there is much for us to churn over in our minds, and the story lingers, its images imprinted firmly on the brain. It is a sombre note which stands out in the collection for its change in tone. So too the shocking emotional imprint of Toby Sime's "Hooked" seemed to hint at a deeper truth. The beauty of an anthology is that every reading will get garner something different, and while this time around, I will admit that there were pieces that I did not understand, or had no emotional response to, the experience of reading the collection over all was a joyous one. I basked in the warmth of reading exceptionally good prose, and was willing to go on the journey that the order of the stories wanted to take me on. I have no doubt that when I read this again, different sensory impressions will be left on me, and I look forward to that day.